Losing a pet is one of the hardest and most painful experiences you will ever go through. 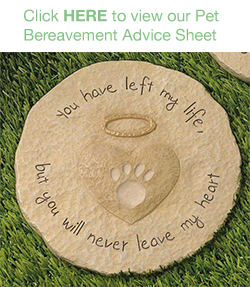 Thinking about losing our beloved pet is never easy. No matter how well prepared we think we are it is always a distressing time, and we mourn the death of our pets just as we do a human friend or family member. Here at Broad lane Vets we are all pet owners ourselves and really do understand how hard this time is. We hope to support you through the process so that you feel comfortable with the decisions you have made. There are many conditions that, although they may not be able to be cured, can be controlled to give a good quality of life. Do take the advice of your vet as it can be invaluable to help you in your decision. Inevitably, the choice to let your pet go must be made by you. This decision is always difficult but can be seen as the ultimate loving gesture to stop the suffering of your beloved pet. How is my pet “put to sleep”? Firstly, a “Euthanasia Consent Form” needs to be signed; this is a legal document that allows us to perform the euthanasia. You will be given the option to settle payment before the procedure so that you do not have to do this when feeling emotional afterwards. Putting your friend to sleep is not painful. It involves an injection using an anaesthetic based drug, usually in the front leg. Your pet will become unconscious and pass away within a short time. Sometimes, they will take a deep breath, gasp and toilet occasionally there may be some involuntary twitching or muscle spasms, a few moments after death has occurred. This is quite normal and should not be confused with signs of life. The pet is totally unaware of any of these occurrences. All they are aware of is gradually drifting off to sleep. It is quite normal for your pet's eyes to remain open. It is entirely your decision as to whether you would like to be present or not. Many do stay, but others find the process too distressing, and prefer to say their goodbyes beforehand. 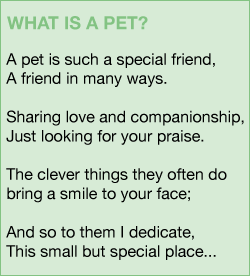 It is a matter of personal choice for you as the pet’s owner. Our team members are very understanding, and rest assured that your pet will be treated with the dignity and respect they deserve. Lots of people tell us they find it useful to browse the options before the time comes, so that they have an idea of what they wish to do before the emotion of the day overwhelms them. Take a look at www.pcsonline.org.uk. Group cremation (mass) – where several pets are cremated together; this means that you will not get any ashes back. Individual (private) cremation – ashes are returned to you either in a wooden casket, a cardboard scatter-box, a china urn or other receptacle. Perhaps you would like to scatter the ashes in your garden, on a favourite walk or keep them to bury. 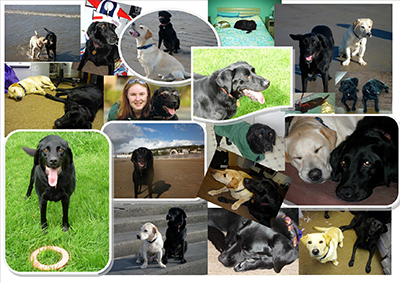 We use the services of a reputable pet cremation company (PCS) based in Northampton. If you would prefer a home visit, we are able to offer this service in our Animal Ambulance. Many people like their ‘final goodbye’ to be in their home environment. Be aware this will be a more costly option than coming along to the surgery, and can only be performed at certain times, around our appointments and operations. Visits are usually undertaken during the daytime. 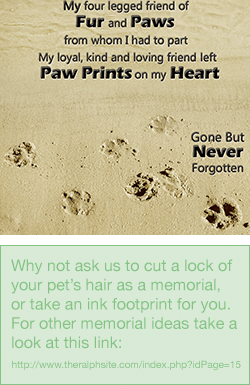 You must call us in advance should you wish to arrange a home visit for your pet.